April 5, 2017 -- As part of National Poetry Month, Mayor Sylvester Turner announced the selections of Deborah Mouton - an internationally-known poet, singer, actress, photographer, wife and mother - as Houston’s third Poet Laureate and Fareena Arefeen as the city’s second Youth Poet Laureate. Mouton was chosen from among Houston’s poetry community through a competitive application and interview process by a panel of local literary arts experts. Her two-year term begins in April 2017 and runs through April 2019. As Poet Laureate, she will work closely with the Houston Public Library and the Mayor’s Office of Cultural Affairs to implement her Community Outreach Project. She will also conduct eight workshops in Houston Public Libraries, create videos and poems to share on social media and mentor the Houston Youth Poet Laureate. Arefeen, a junior at the High School for Performing and Visual Arts (HSPVA), succeeds Andrew White, a graduate of HSPVA and a freshman at New York University who now serves as U.S. Regional Youth Poet Laureate and is in the running to be the National Youth Poet Laureate. Arefeen’s one-year term includes a scholarship, a book publication and mentorship from Houston’s Poet Laureate. The Youth Poet Laureate program is led by the Writers in the Schools with coordination from the Mayor’s Office of Cultural Affairs and the Houston Public Library. Arefeen draws inspiration from her mother, who works at a gas station and raised her daughter to love the poetry of the Bengali people, whom she regards as “poets at heart.” As Houston Youth Poet Laureate, Arefeen hopes to make the written word more accessible across communities and is especially interested in using public art as a vehicle for poetic expression and social change. Arefeen will participate in several community events throughout Houston, where she will lead youth in contributing to a visual art installation created out of their own poetry. Their poetry will be displayed and later photographed and archived for a gallery opening and reading at the end of her term. The Houston Poet Laureate Selection Committee is comprised of a diverse group of poets, scholars and literary experts. The group includes Ashley Turner, First Daughter of Houston; Robin Davidson, current Houston Poet Laureate; Marina Tristan, Arte Publico Press; Reyes Ramirez, DiverseWorks; Jack McBride, Writers in the Schools; Sally Connolly, UH Director of Graduate Studies, and Martha Serpas, UH Professor and Author. Non-voting members include: Jennifer Schwartz, Houston Public Library, and Radu Barbuceanu, Mayor’s Office of Cultural Affairs. The final selection for the Poet Laureate was made by Mayor Turner. The Poet Laureate is awarded a $10,000 honorarium for the two-year term. 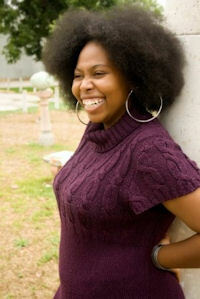 Deborah Mouton was ranked second best female poet in the world at the Women of World Poetry Slam and has published and performed poetry since the age of 19. On stage, she has been a 2015 Finalist for the Individual World Poetry Slam, a 2016 Finalist for the Texas Grand Slam and has served as a Final Stage Sacrificial Poet for the 2016 Women of the World Poetry Slam. She released her first full-length album in 2009 titled "The Unfinished Work of a Genius." It is a collection of original songs and poems that explore ideas around spirituality and personal growth. Her sophomore album, "Beautiful Rebellion," was released in 2015, exploring more socially themed poems. She wields dual Bachelor of Arts degrees from the University of Michigan in English and African-American Studies and a Master’s in Education from the University of St. Thomas. Deborah Mouton is currently the Special Programs Manager and a Writer in Residents for Writers in the Schools as well as Slammaster/Coach for the Houston VIP National Poetry Slam Team. The City of Houston Poet Laureate Program celebrates Houston’s rich culture and diversity through the work of a poet who represents Houston by creating excitement about the written and spoken word as well as outreach activities, special programs, teaching and their individual works. The role of the Houston Poet Laureate is to stimulate poetic impulse, foster appreciation of poetry in all its forms and serve Houston residents and visitors with expressions of culture through words. The previous Houston Poets Laureate include Dr. Robin Davidson and Gwendolyn Zepeda. WITS is a nonprofit 501(c)(3) organization that engages children in the power of reading and writing. WITS is the largest literary arts organization in Texas and the leader of the national WITS Alliance network of 36 organizations. WITS writers work in year-long programs in 360 classrooms helping 38,000 students and teachers develop their creative and analytical thinking skills each year. Learn about their school and community writing programs, summer camps, or sign up for their blog at www.witshouston.org. For more information about the City’s cultural programs, go to www.houstontx.gov/culturalaffairs or follow the Mayor’s Office of Cultural Affairs on Facebook @HoustonMOCA.